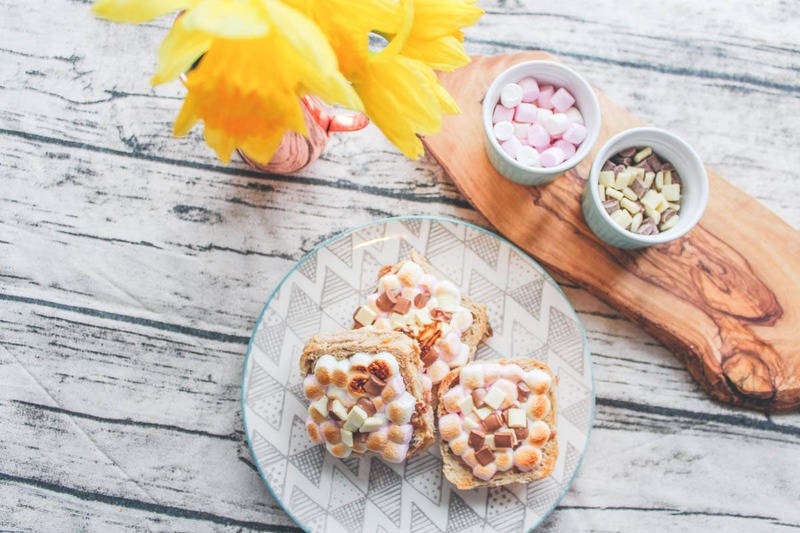 I love Hot Cross Buns, and am so glad that you can pretty much get them year round now! I love them on their own with butter, with Jam, and sometimes even with chocolate spread on. 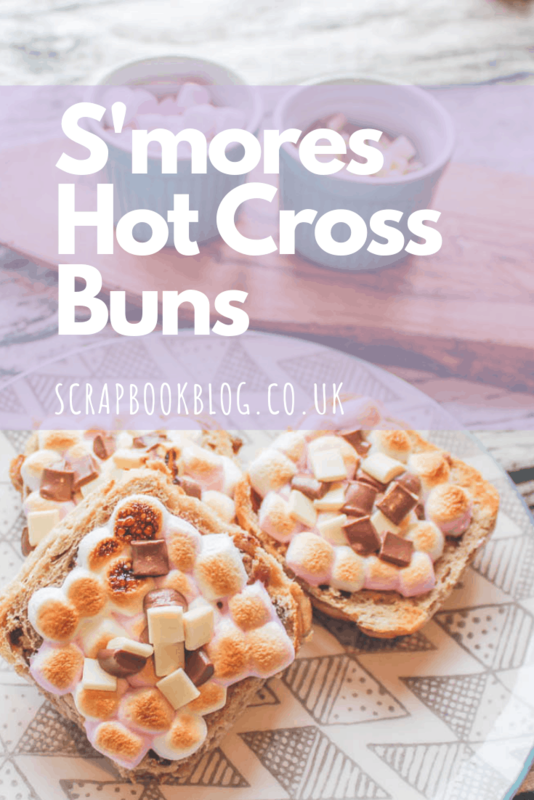 However this year I have really upped my Hot Cross Bun consumption game and have been making S’Mores Hot Cross Buns! Lightly butter your Hot Cross Bun halves, and place them middle side up on a grill tray. 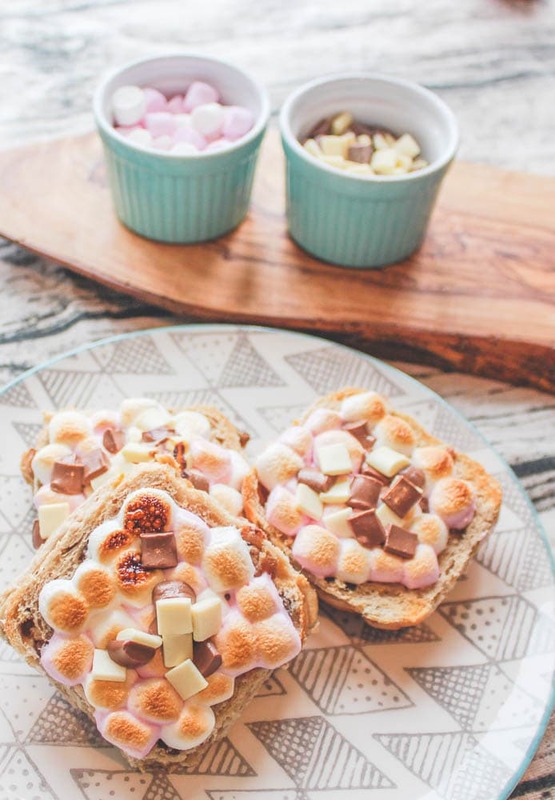 Cover them with mini marshmallows, leaving a little space around the edges, this is so that you don’t get too sticky when you pick them up to eat them! Grill under a light heat for around 3 minutes. 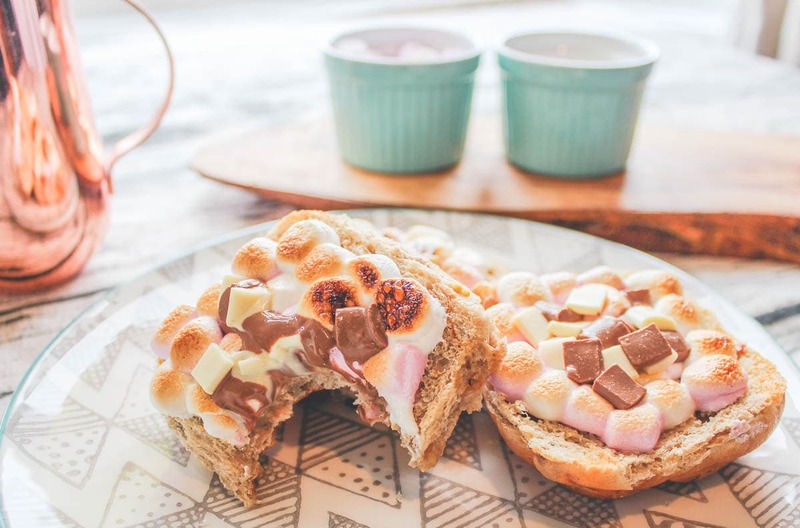 It’s best to keep an eye on them under the grill so the marshmallows don’t burn too much, but that caramelised taste is what you’re after! Enjoy… then make some more! 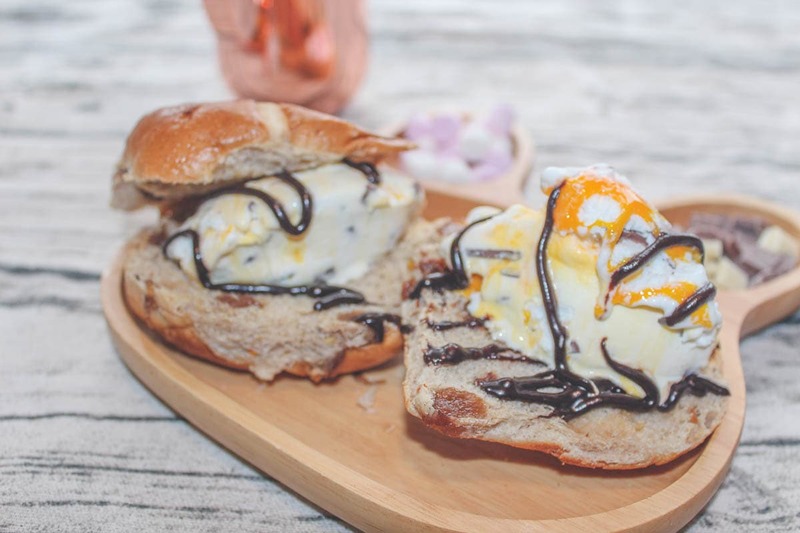 Another easy way to tart up your Hot Cross Buns is by making Ice Cream Sandwiches! 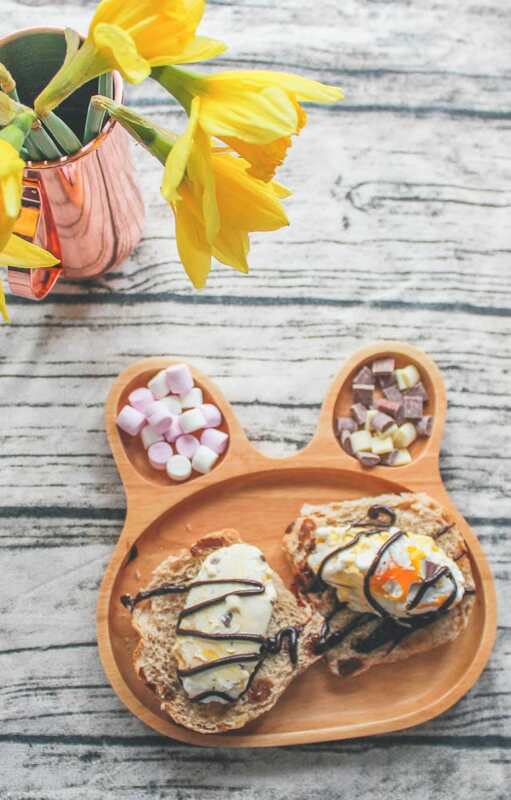 All you need to do is lightly toast your halves, butter them and then slap a healthy scoop of ice cream in the middle, drizzle with chocolate sauce and enjoy! I used Cadburys Creme Egg ice cream here, for extra eastery-ness but salted caramel works very well too!